Pretty sure these are £12 in Swindon (West). How is reaching Hot status if only one person is able to find it in one store? joke no proof , just one person bought for Ł5. cold for me. Do not use these if you have a bird. No kidding. Why does it look like you have edited the receipt? The whole frying pan line looks like you have cut the very top of the line off? Why does it look like you have edited the receipt? The whole frying pan … Why does it look like you have edited the receipt? The whole frying pan line looks like you have cut the very top of the line off? I've done nothing to it all i,ve done is folded the receipt in two as it has my card details at the bottom it is scanned maybe that did what your seeing. sorry OP but I have to agree that picture of your receipt does look edited especially the white out. I'm happy to vote hot if someone else can confirm this price elsewhere. 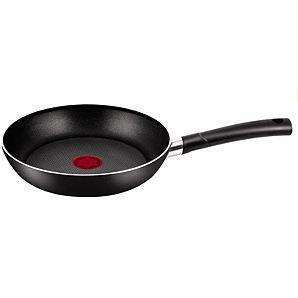 Tefal are the best pans, I always use them. I will also check my local Asda as going their today, hopefully they are £5 as I will definitely buy & confirm price on here for everyone. 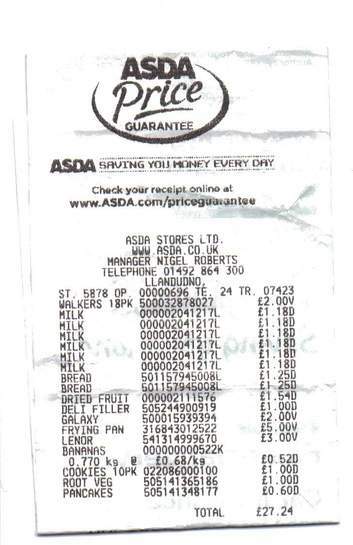 I took note of the barcode on OP's receipt to match with the item in Swanley & it scanned at full price £15. So unless someone else can confirm I'm voting cold & gonna side with Absolution101 on this. Why not, my bird does all the cooking? She made breakfast for me this morning.